February is the start of the lambing season, so for the little ones there’s nothing more exciting than getting to meet and even feed lambs. The Big Sheep, near Westward Ho!, offers this opportunity and so much more during Half Term. The family attraction is open every day between the 10th and 18th February, where the flock is waiting as part of a fun day out. 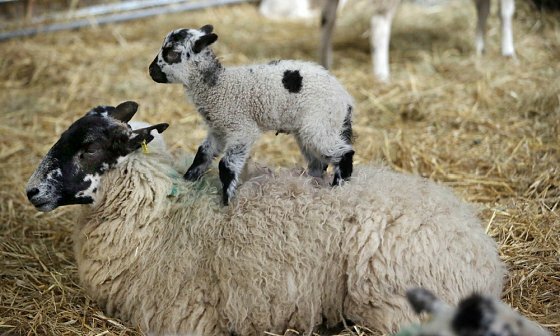 Alongside the adorable lambs, pups, piglets and more the family can also enjoy the indoor and outdoor play areas, six live shows, four rides, and much more. ‘Ewe’ can’t afford to miss this, for a ‘baaaaaing’ good time. Visit the Big Sheep Half Term event page for all the details. Also open 10th to 18th February, is The Milky Way Adventure Park, based near Clovelly. Highlights of a day here include the family friendly roller coasters, the dodgems, the indoor and outdoor play areas and sports facilities, plus a collection of Sci-Fi memorabilia for the young-at-heart adults. 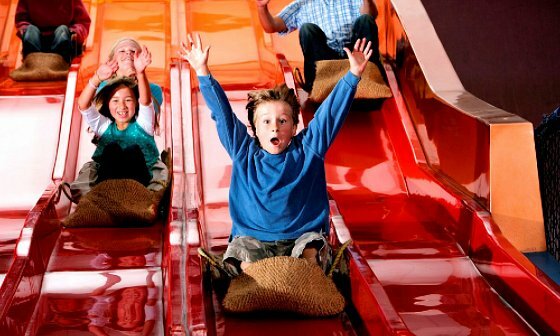 There’s something for everyone to run, jump, bounce, slide, crash or relax. On the 17th, there’s an extra special visitor to the park - Rubble, from Paw Patrol will be there to interact with the children. Plus he’ll be joined by a narrator for a special storytelling session in their arena. Children of all ages can enjoy a complete day out, whatever the weather. The Milky Way website has all the details needed for a visit. Perhaps you’re a family that doesn't mind getting muddy and wet in the outdoors, no matter the weather? For those who love to embrace nature, Arlington Court is the place to visit for a February Half Term in North Devon treat. Between the 10th and 18th February they will be offering a Meet the Chichesters’ Trail. It was the Chichester family who originally built and lived at Arlington Court, and this is an opportunity to follow in their footsteps and pick up the trail to explore the grounds to find out more about their history. Plus on the 12th and 14th February, there are Ranger Days taking place, consisting of Den Building and Natural Art. They’re ideal for getting outdoors, getting mucky, and learning new skills. There’s also drop in craft sessions for when the potential rain gets too much. 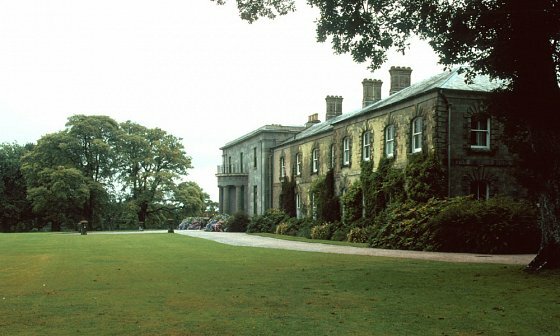 Find more information about Arlington Court and their February Half Term events through their website. Along the same lines, RHS Garden Rosemoor in Torrington is inviting you to “enjoy mud, machines and total mayhem this February Half Term”. Also between the 10th and 18th February, they will be having unique drop in sessions, with something different happening daily. From making mud bowls, to mud-pie bake offs, these regular sessions offer a special addition to a day at the gardens. 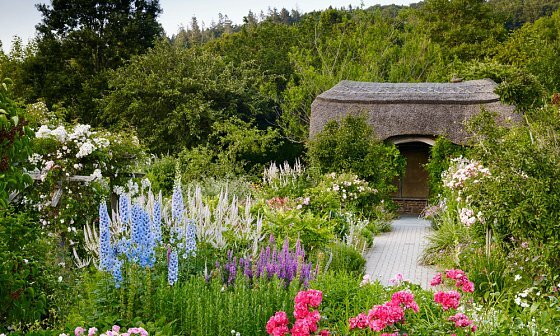 For those who love to wander amongst nature and the flowers, expect to find streams, woodlands, fruit and veg, cottages and a restaurant for family food. Get the full list of everything taking place at Rosemoor by visiting their website. The weather is always a factor during February Half Term in North Devon, and every location on this list is suitable for sun, rain, or all the elements at once - including the beaches. When the sun shines the beaches are a must for games, surfing or picnics on the sand. When the skies are dark and dramatic, the beach is a must for photography opportunities. When it won’t stop drizzling, a family walk along the beach is a must if you don’t mind taking in the scenery with your hood up. Woolacombe Beach, Westward Ho! and Saunton Sands attract the crowds, but there are plenty of hidden gems to explore if you fancy getting off the beaten track. No holiday to the area is complete without time on the beach! Discover 5 hidden beaches in North Devon. Why stay at The Barnstaple Hotel? In 2018 we’re having a complete makeover at The Barnstaple Hotel, so our 61 rooms are to the highest of quality, and some come with pool views. Then there’s our facilities that come as standard including the free Wi-Fi, the Health and Leisure Club with indoor and outdoor pools, a games room, two bars and a relaxing lounge area. 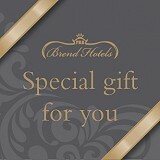 Plus our variety of dining options serve breakfast, lunch and dinner so your meals and tastes are always taken care of. Then for whatever you’ve got planned for your holiday, get out and about in North Devon. Not only do children aged 12 and under stay free over February Half Term, they are also entitled to free ice-cream tubs, ice poles and soft drinks, plus complimentary breakfast and dinners with parents. This is an amazing offer you don't want to miss - get all the details here. We also offer EXCLUSIVE discounts to many local attractions to make your holiday that extra bit special - including a few of the attractions mentioned above. See the full list of family days out available to you. Like what you see? Click a Book Now button to find the dates that suit your family for Half Term.